Traditional or skate skiing is how is tackled Run # 16. 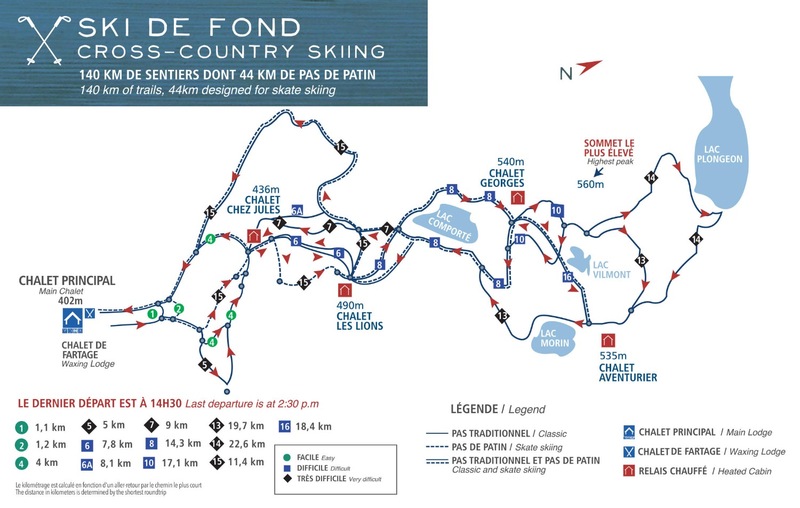 Part of Mont Grand-Fonds 140-kilometer network of trails including 46 km of skate skiing. With its 18.4 kilometers of intermediate level, this run represents a challenge for cross-country skiers who need that little bit extra. In wood-heated relays, they will warm up with hot chocolate, coffee and chicken broth, on the house!